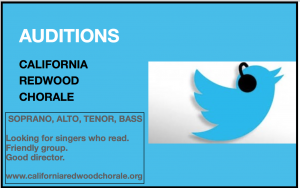 The California Redwood Chorale is auditioning singers in all sections. Happy 2016! We are having mid-winter auditions. CRC and Monteverdi Chorus of Budapest warming up at Matthias Church in Budapest, June 20, 2015. Over 500 people came to the concert! 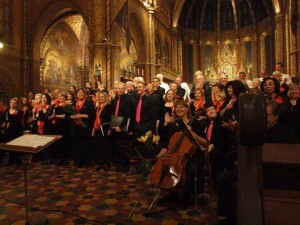 Watch video of “Joshua fit the Battle of Jericho” followed by John Rutter’s “Requiem”.